"Where We Belong (I go fly)" is the first single from The Voice of the New Bamenda's debut album, "Where We Belong". The song is a blend of the local rhythms from the North West Region of Cameroon with pop and RnB. The Voice of the New Bamenda is a collective of eight (08) young artists made of: Natty, X-Brown, Dratzy, Nan City, N. Jackson, Glynn, Telma and Nollygoh. The collective is an initiative of Project New Bamenda, a process to encourage growth in business and entertainment in the North West Region of Cameroon. 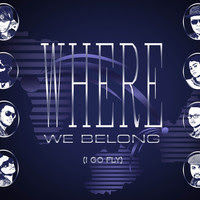 Listen, download and share "Where We Belong (I go fly)".